Blues-rock guitarist Mike Zito’s career has gone through a number of phases: currently recording for Ruf Records, he’s near the peak of his powers. From 2010 to 2014 he was part of supergroup Royal Southern Brotherhood with Cyril Neville and Devon Allman. In the later part of the previous decade, Zito released three highly-regarded records on Eclecto Groove. And in the early part of the 21st century he self-released a string of albums as he sought to build his fan base. But before all of that – back in 1998, he released his debut recording, Blue Room. All of 27 at the time, Zito had just made the leap from crowd-pleasing covers musician playing roadhouses to an artist who wrote and performed his own material. Fronting a power trio that featured bassist Doug Byrkit and drummer Brian Zielle, Zito cut the ten tracks that make up Blue Room in a single session; he ponied up the $1000 for the session – in a St. Louis basement studio – out of his own pocket. There’s a pleasingly busy vibe to the songs on Blue Room; Zito’s distorted yet precise guitar lines often engage in dialogue with Byrkit’s rubbery bass figures. The song structures hew fairly close to blues conventions, but the arrangements lean in more of a rock and (occasionally) jam-band direction. Yet Zito’s economical writing style means that the tunes never meander or wear out their welcome. When Zito tears out a solo – as on Pull the Trigger – his rhythm section makes sure to fill the midrange sonic space; the intensity never lets up. An occasional pig-squeal lick sneaks in here and there, and the songs display brief flashes of rock-star pyrotechnics, but for the most part, Blue Room is a song-focused collection. Zito’s raspy vocals convey the grit and sweat that went into developing the tunes, and there’s a swaggering, good-timing feel to the entire disc. 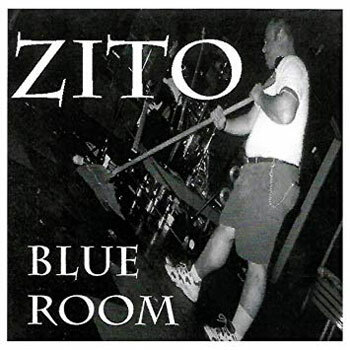 Both by design and necessity, Blue Room is the rawest document of Zito’s talents, and the album’s first proper reissue lets current-day fans hear what the guitarist sounded like near the beginning.